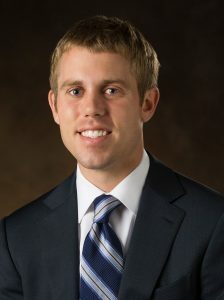 David Martin, a fourth-generation leader at H.J. Martin and Son, has been elected to a four-year term (2017-20) on the board of directors of the Retail Contractors Association. The Retail Contractors Association is a national organization of high-caliber retail contractors which unite to promote ethics, safety, quality and professionalism within the retail construction industry. Established in 1992, the organization is headquartered in Alexandria, Va.
Martin monitors daily operations of H.J. Martin and Son, one of the nation’s largest interior and specialty contractors, employing 600 people. He also strengthens relationships with current customers, along with working to develop new client affiliations. H.J. Martin and Son works with many of the country’s best-known national retailers. Its National Retail Services division offers services from floor to ceiling and everything in between.